Dunkley Piano Movers is specially trained to move your cherished piano with care. 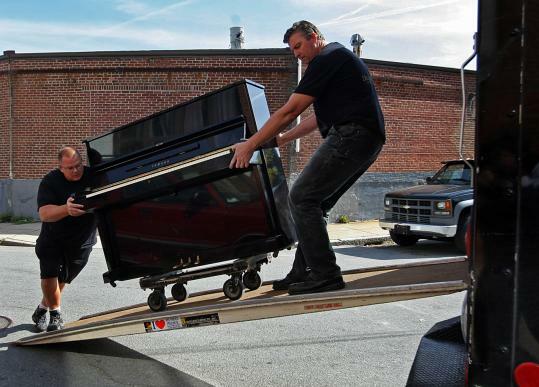 We have been moving, transporting, storing pianos and organs for over 25 years. We specialize in moving pianos and organs along the Wasatch Front in Utah from Provo to Logan. You can trust our staff with any type of piano you have whether it be a spinet or a 9′ concert grand. If you need your piano moved short or long distance or you need it stored while building a new home, we have the experience and the equipment to do it. If you are not sure it can be done, give us a call! We have pulled pianos out of fire-destroyed homes. We have moved grand pianos down several flights of stairs and moved pianos out of tight basements. Dunkley Piano Movers will always move your piano with the skill and care that comes with being seasoned professionals.